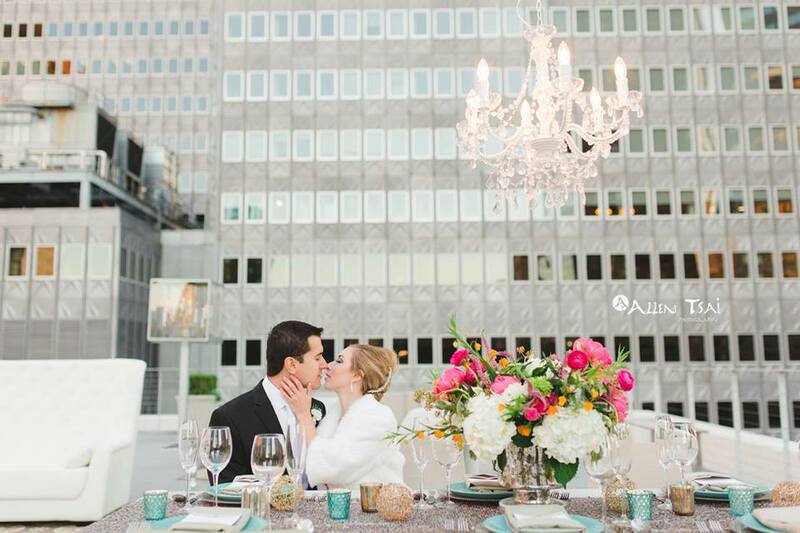 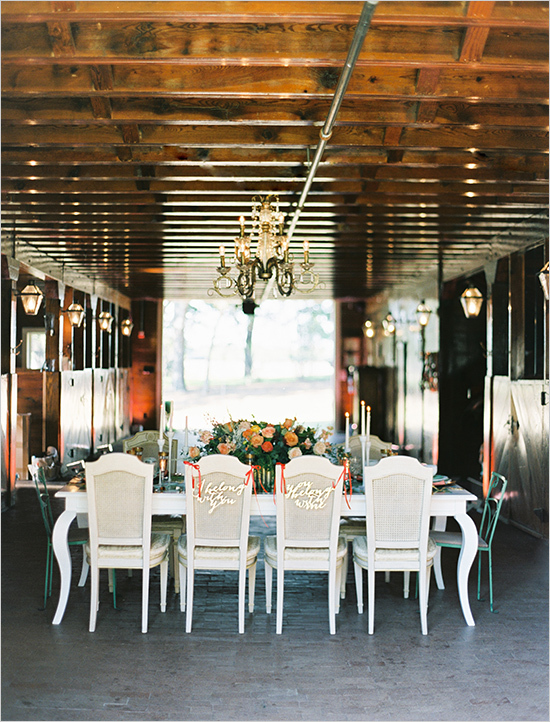 These vintage style Edison Bulbs are perfect for creating a modern industrial ambiance to your event. 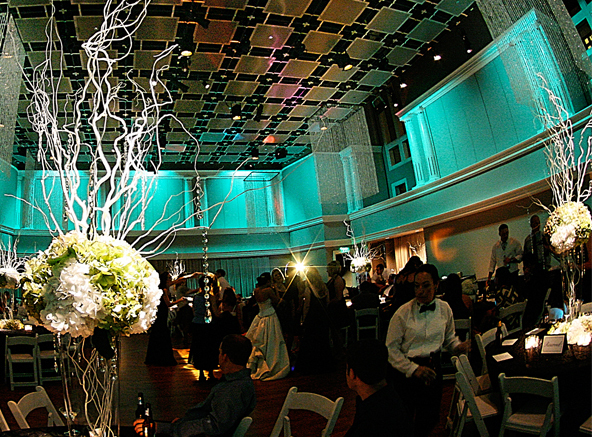 The bulbs hang from the ceiling to create the illusion of a chandelier. 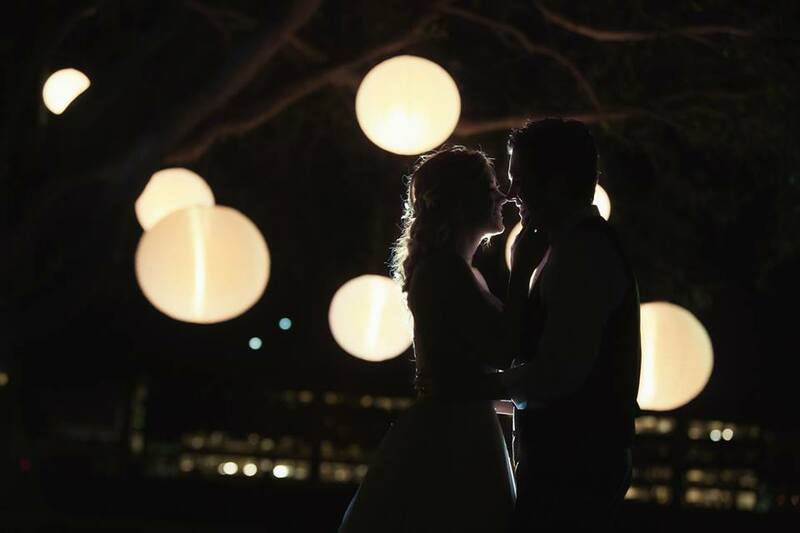 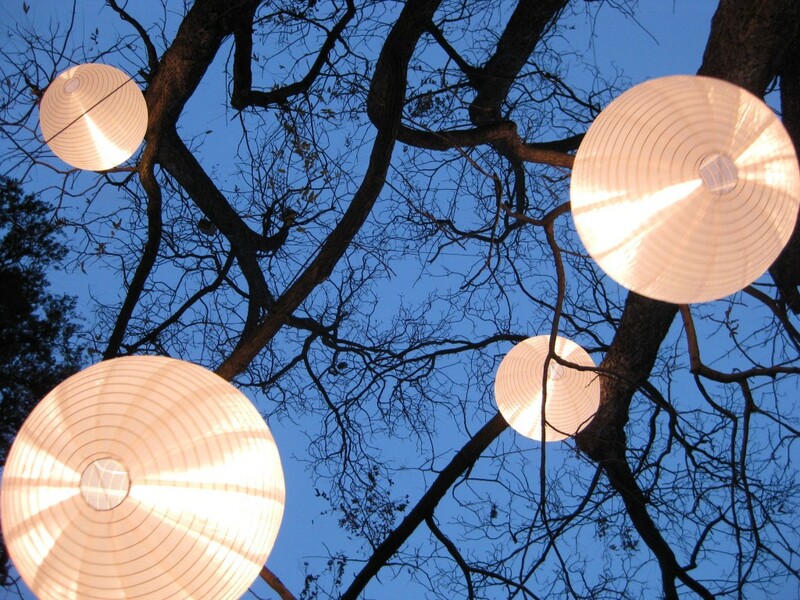 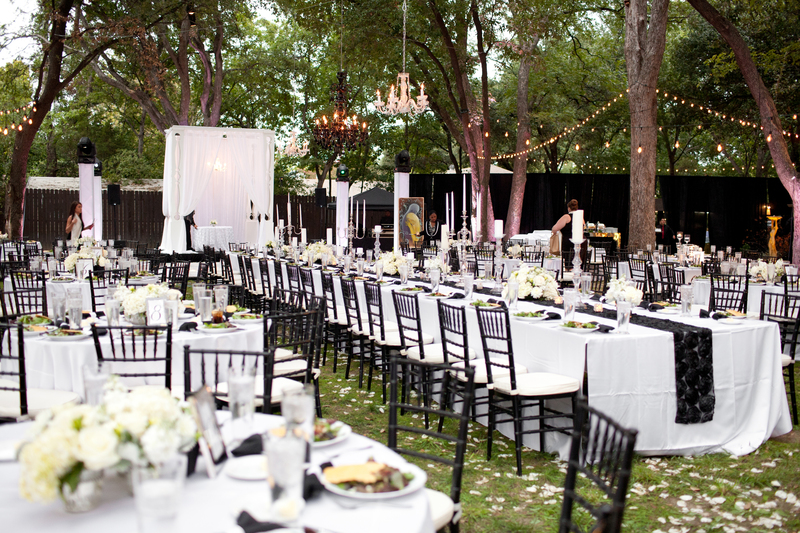 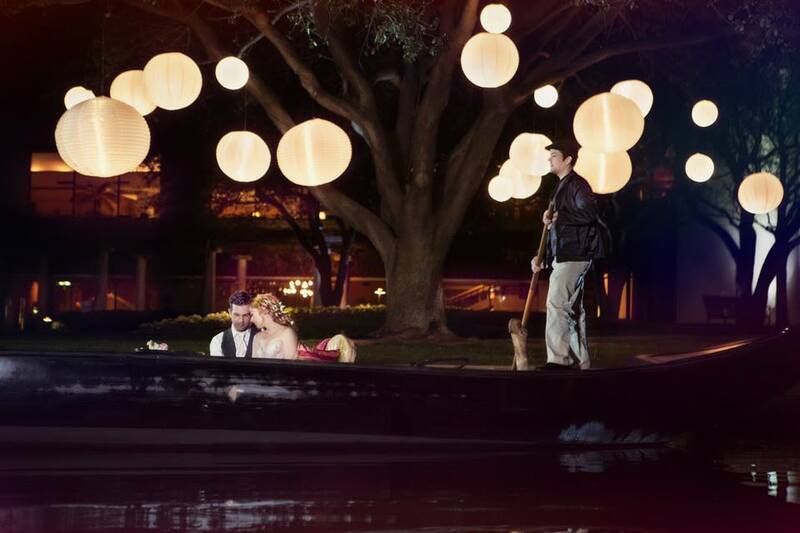 Chandeliers come in various styles including your traditional chandelier and our modern paper lanterns that are popular for outdoor events. 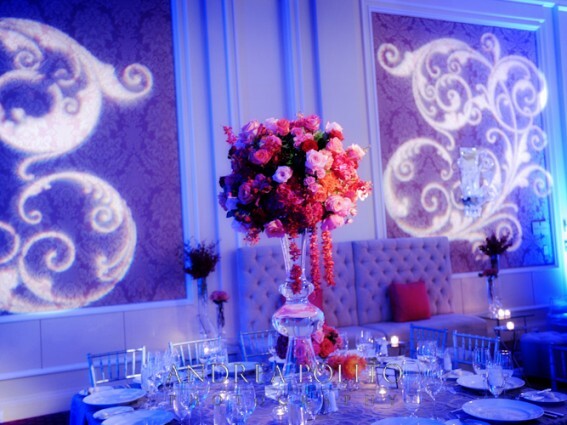 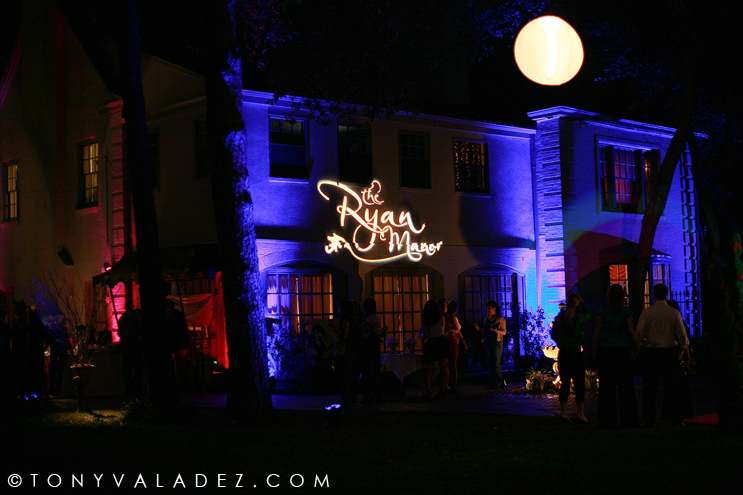 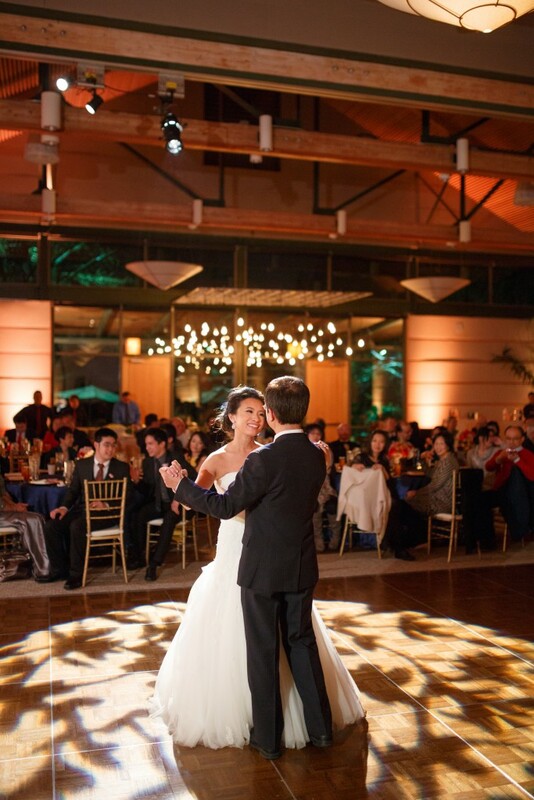 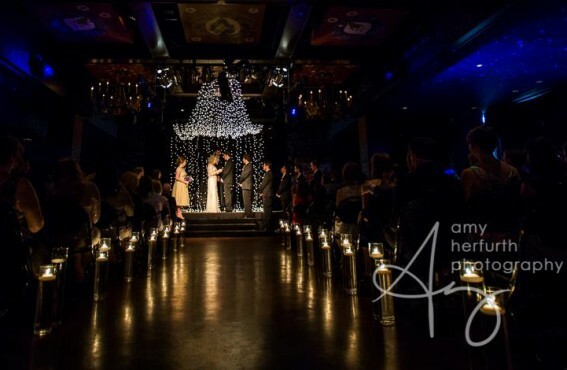 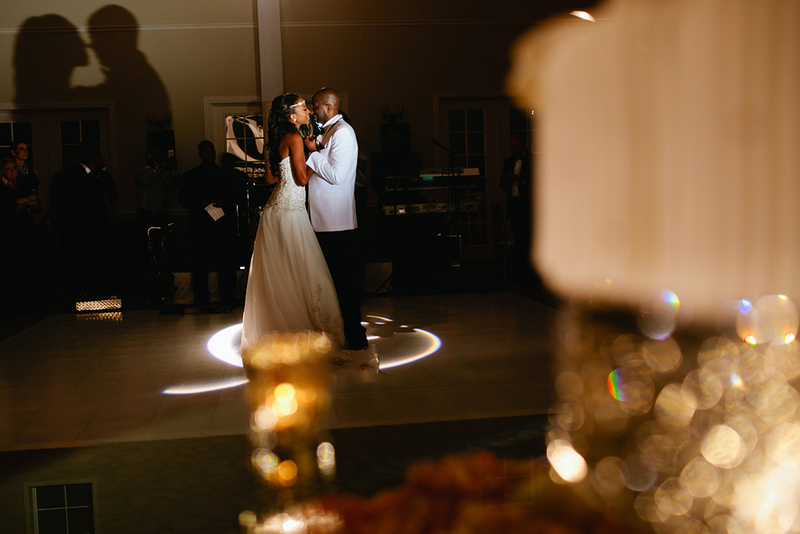 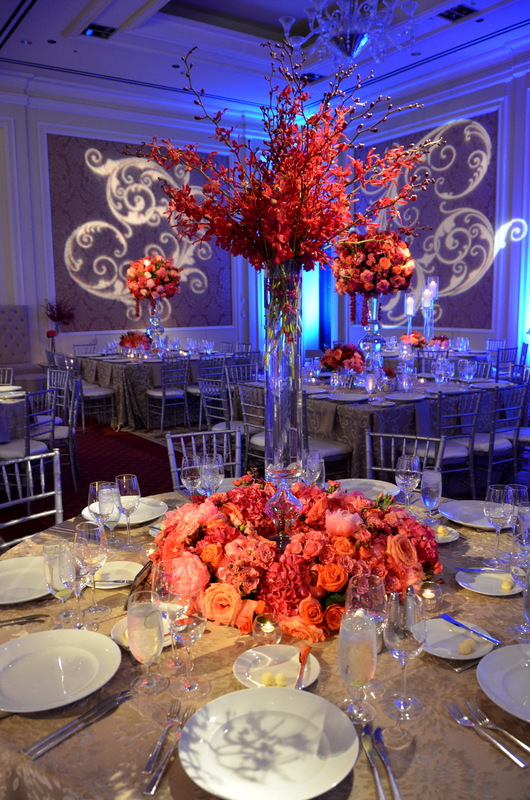 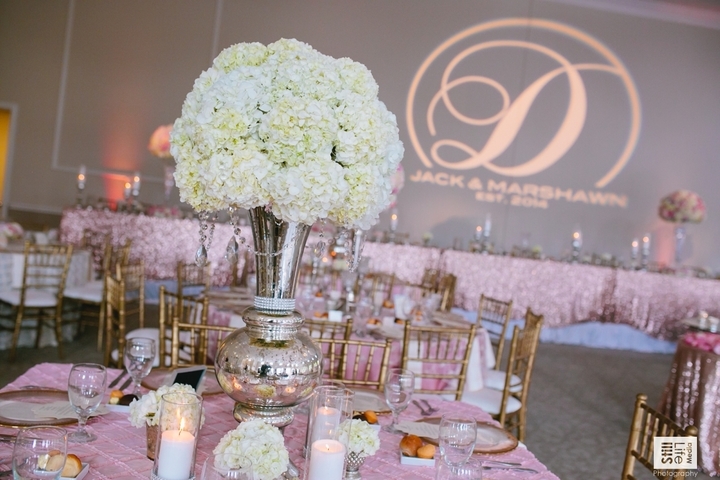 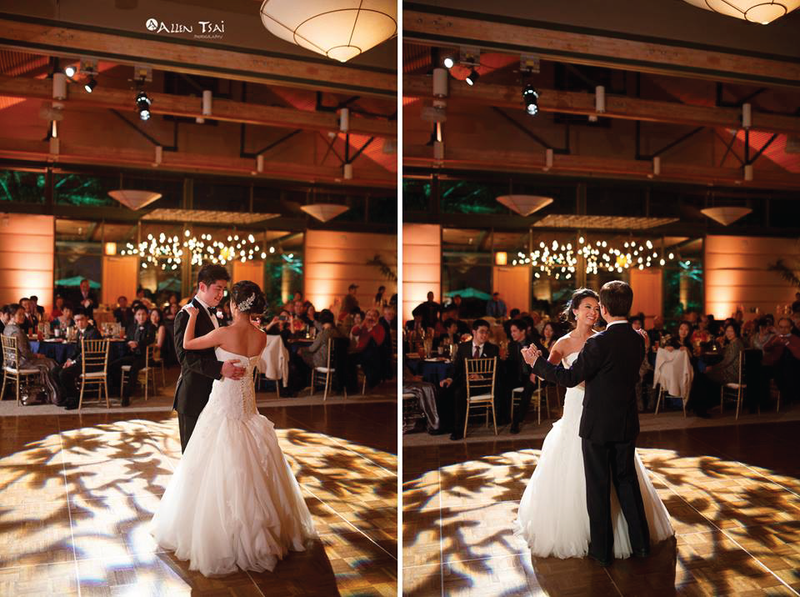 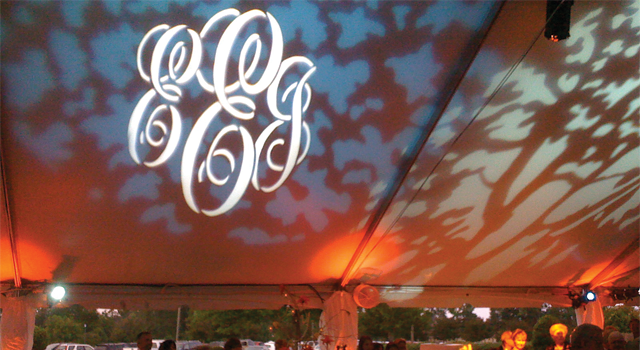 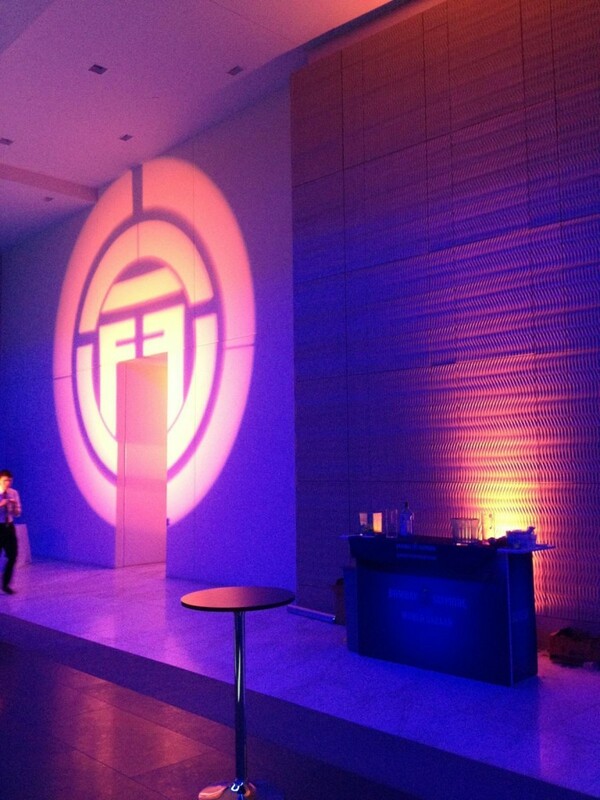 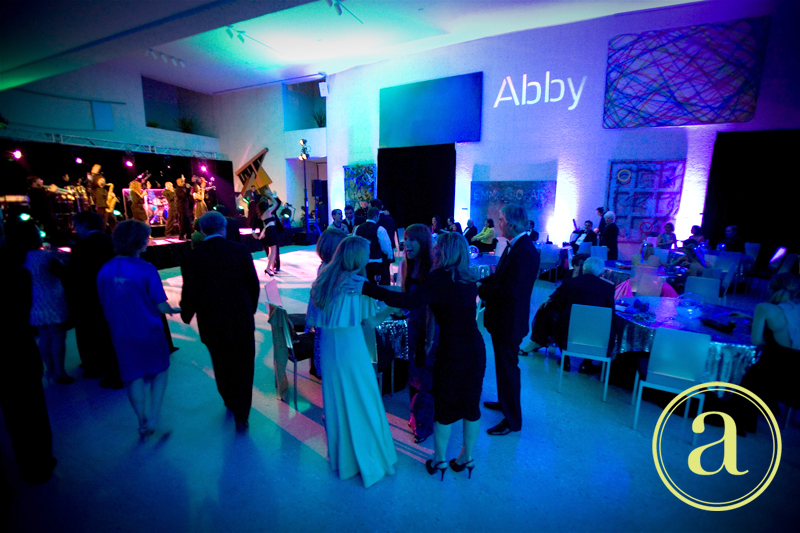 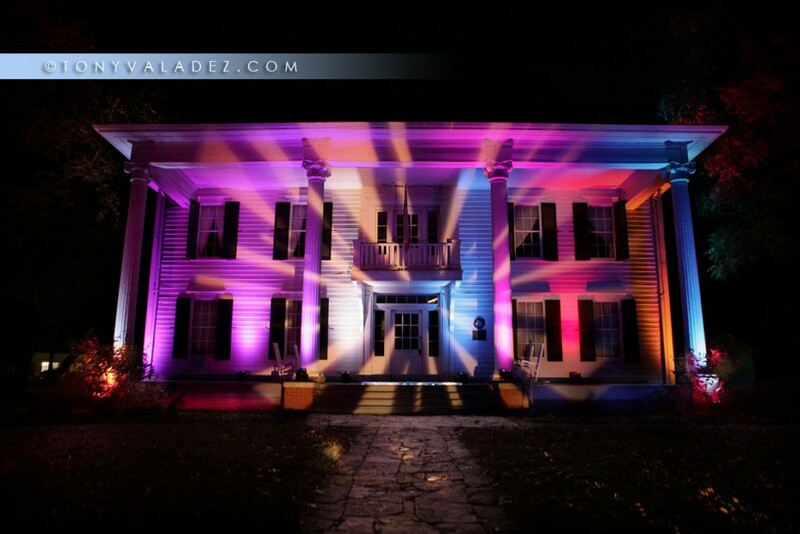 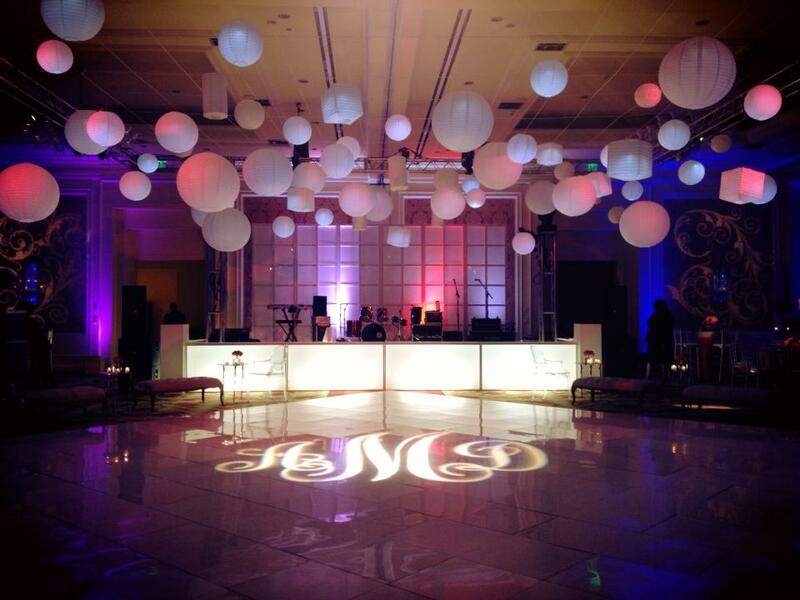 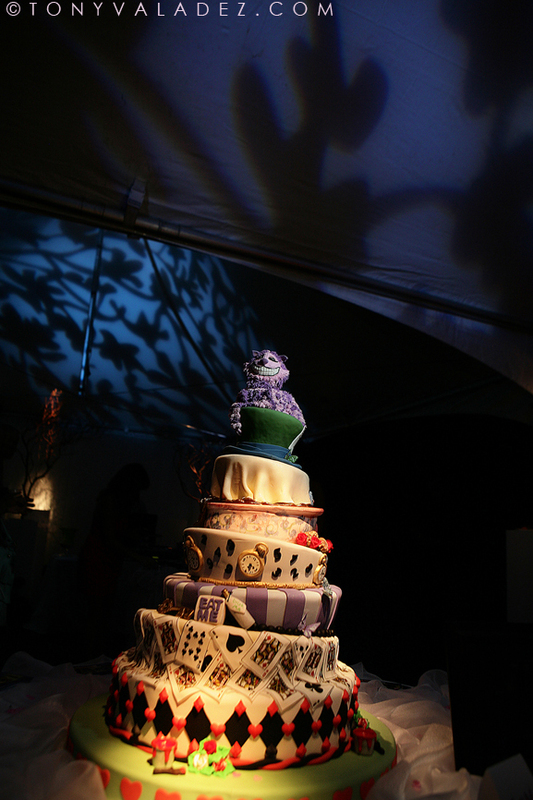 Our GoBo can display anything from your newly wed initials to colorful moving patterns. 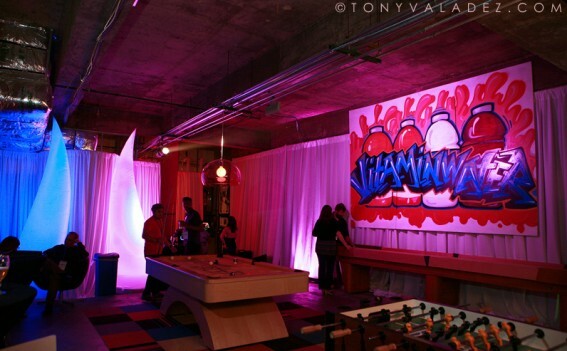 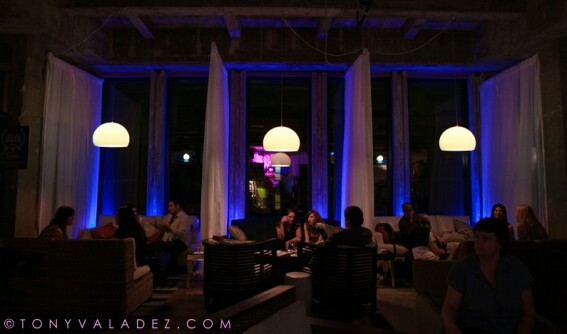 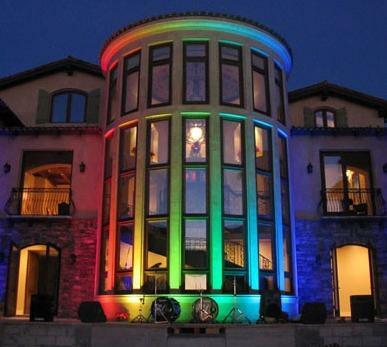 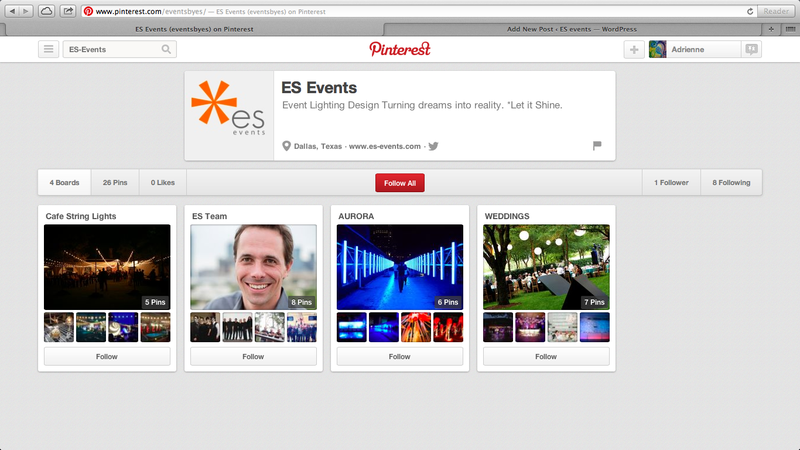 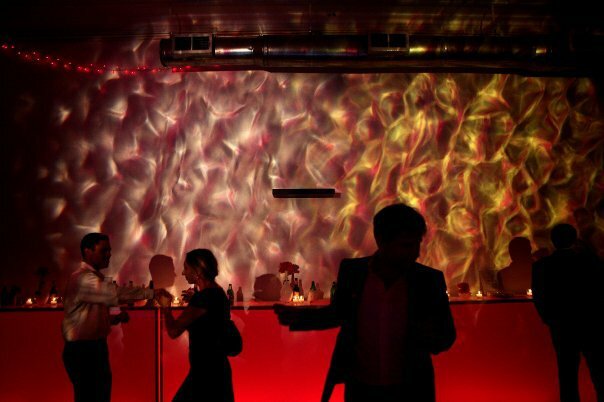 The light can be displayed on the wall, the ceiling, or the dance floor! 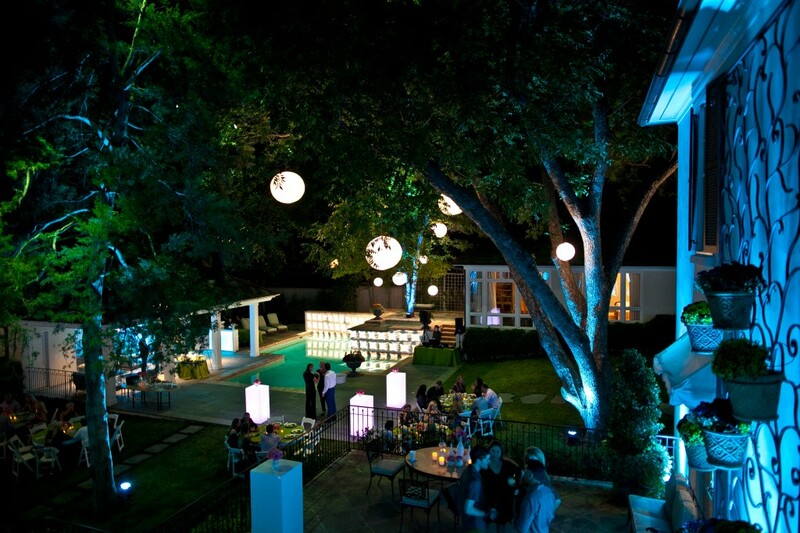 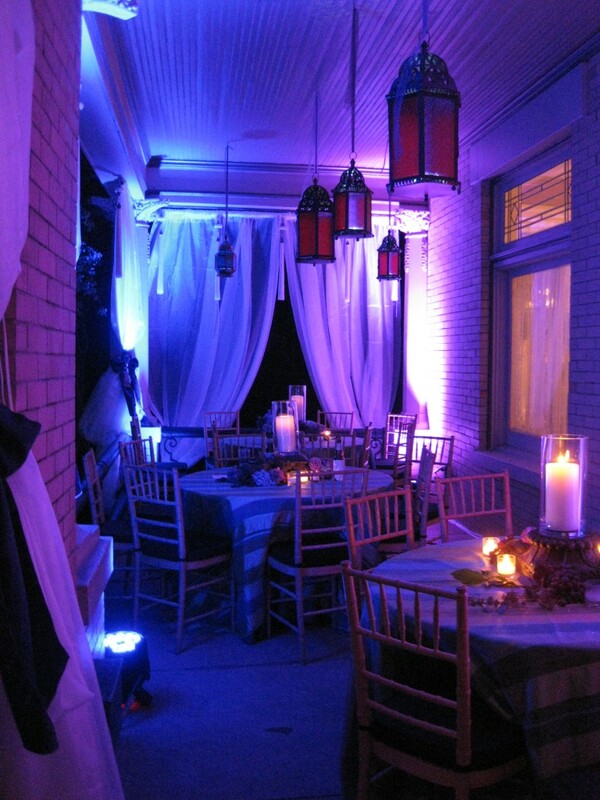 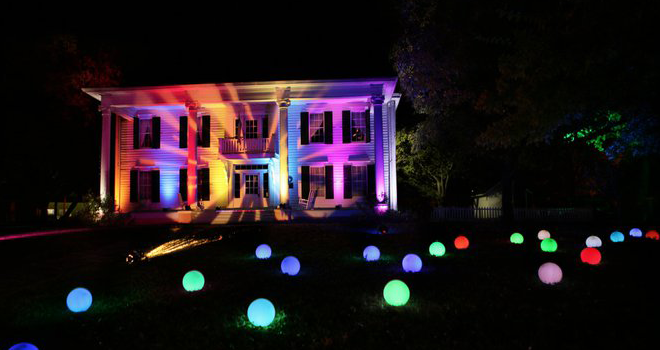 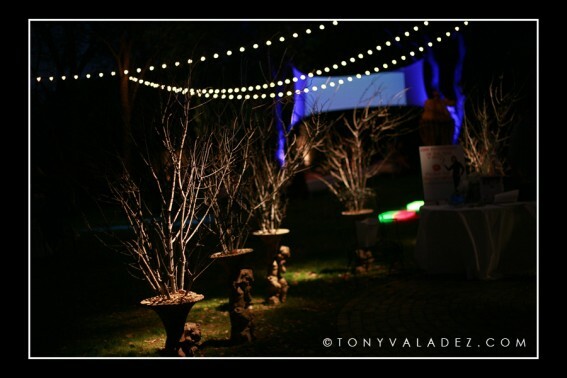 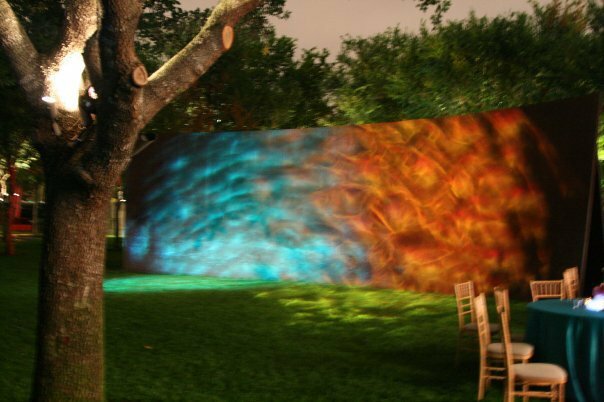 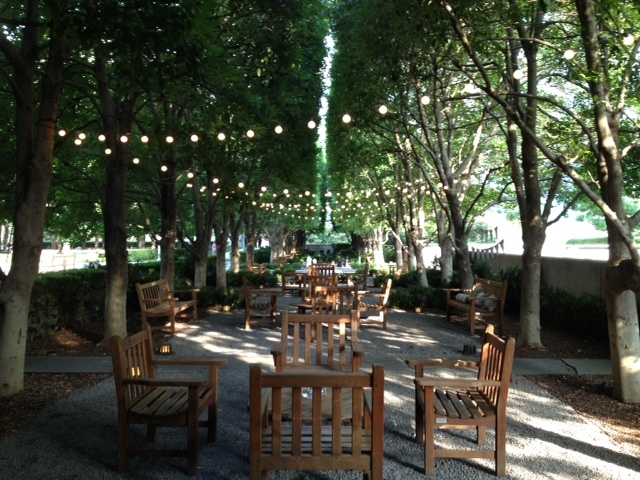 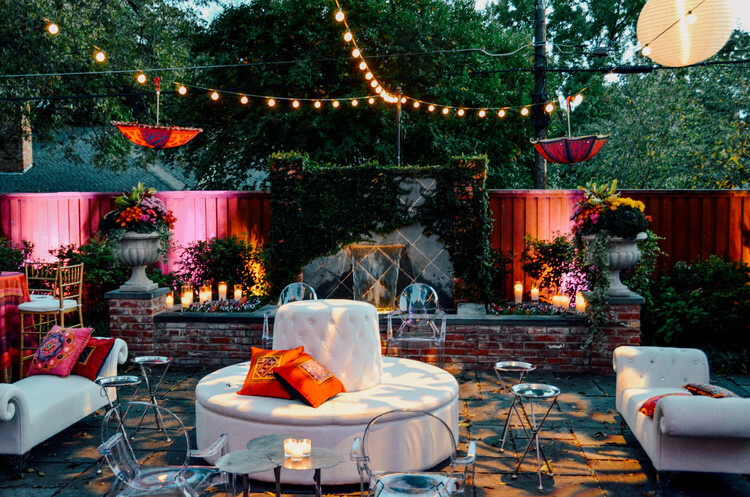 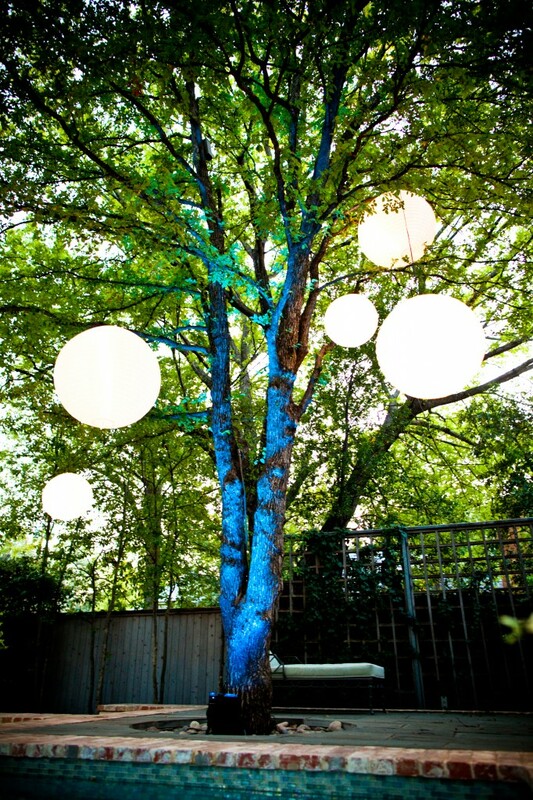 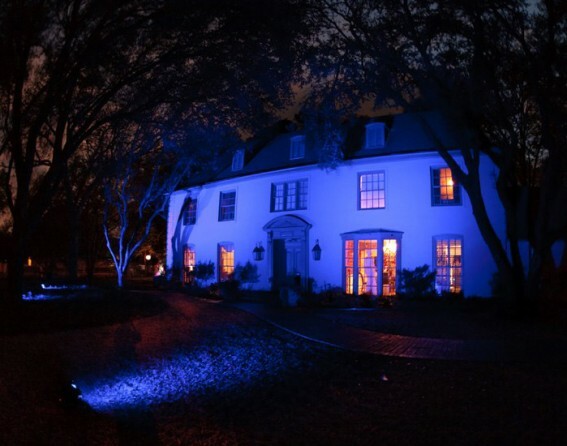 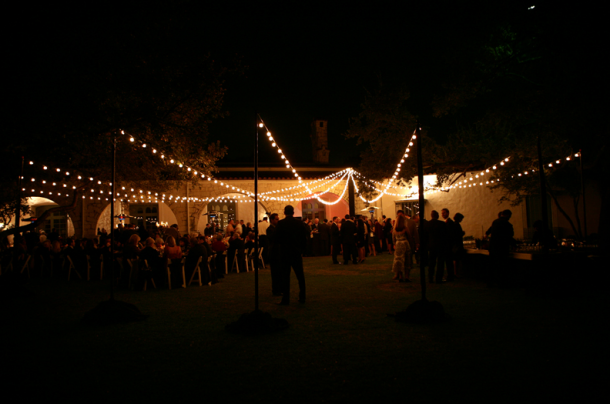 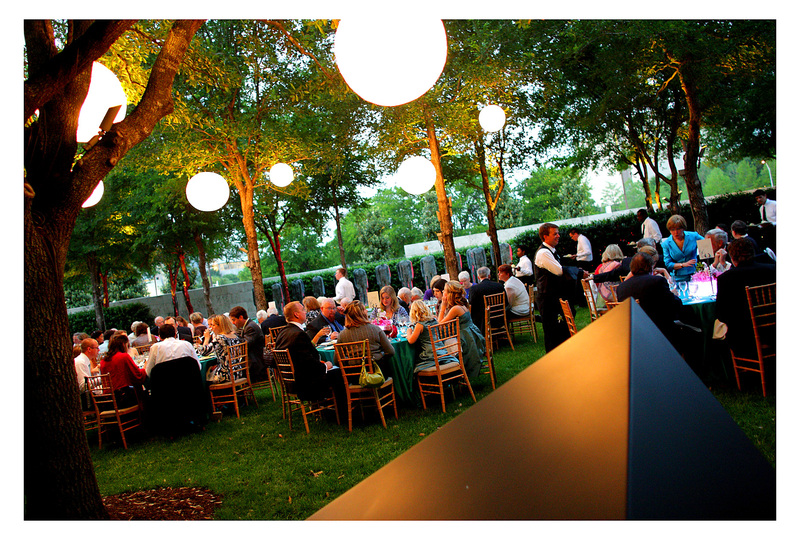 Uplighting is a great way to give some life to the walls, the outside of your building, or even to light up those gorgeous trees. 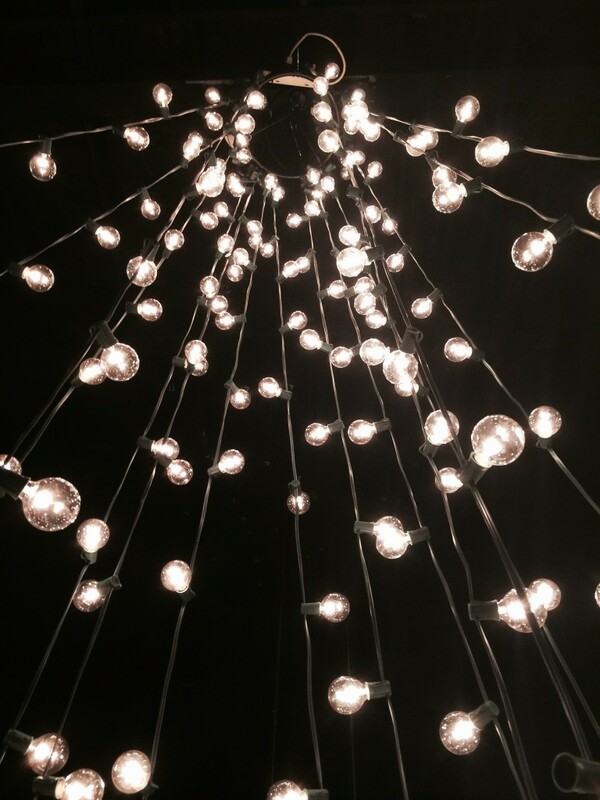 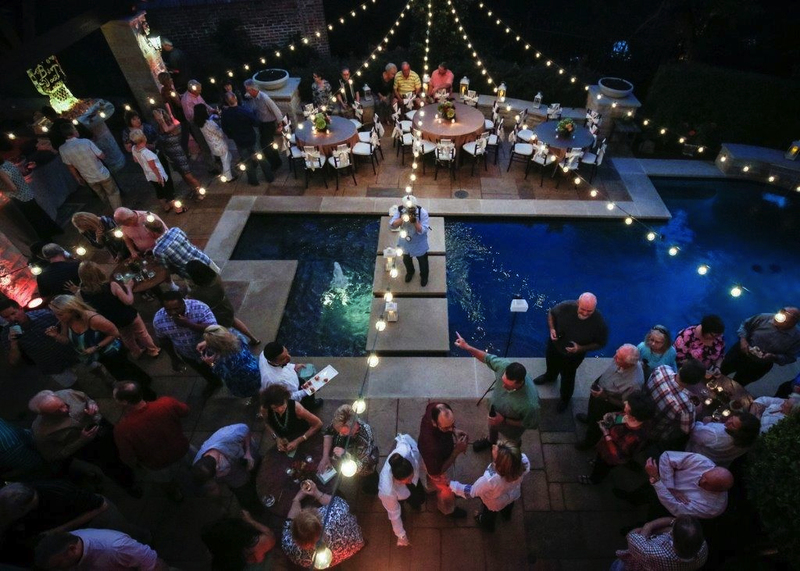 String Lights can be a great way to add some light to dark spaces by creating the illusion of walls or ceilings. 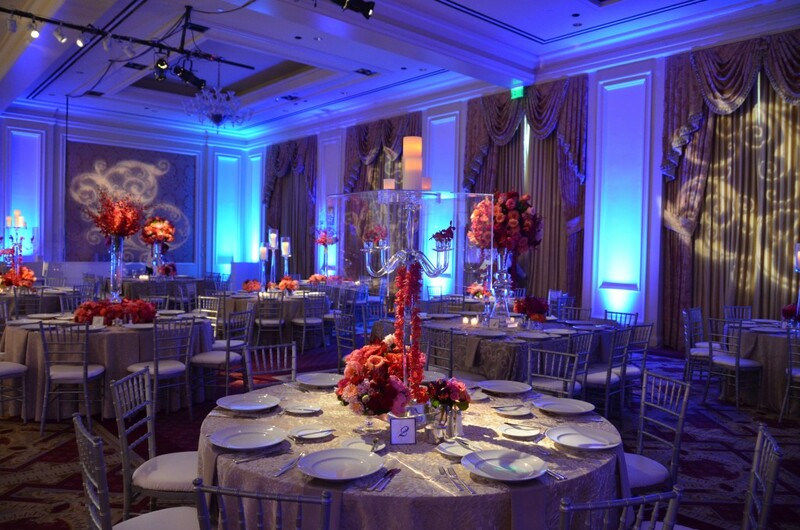 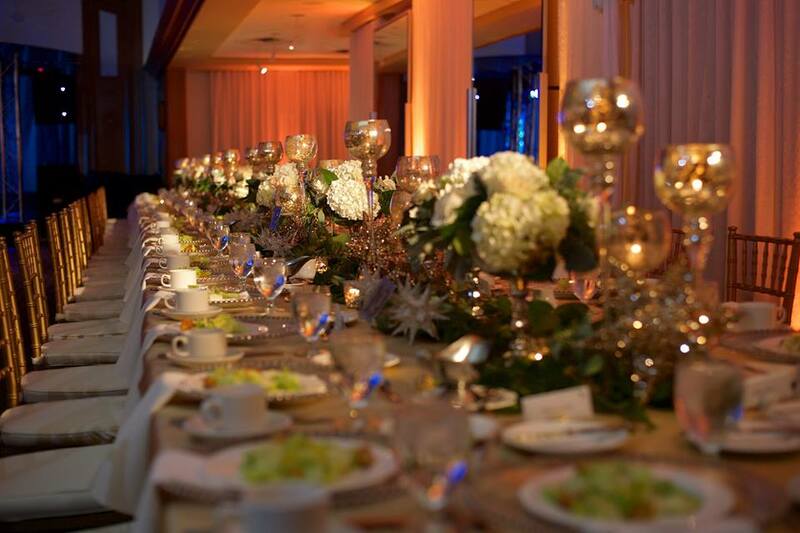 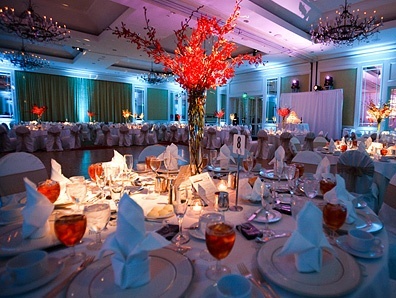 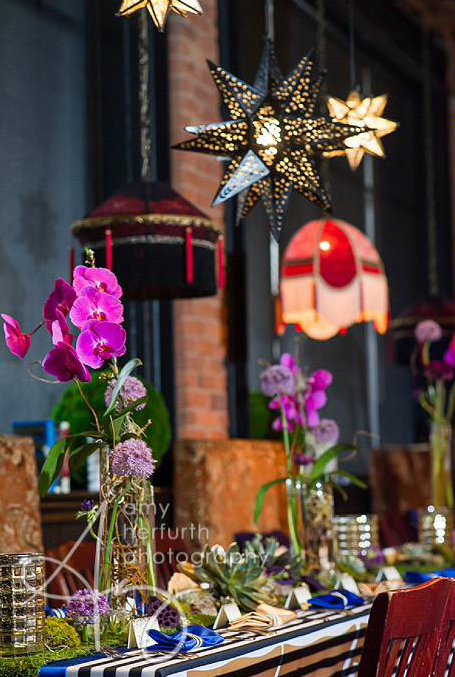 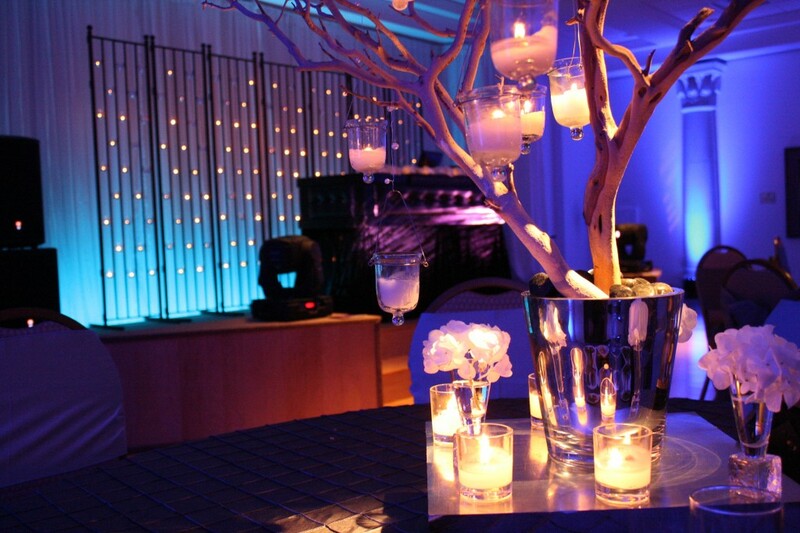 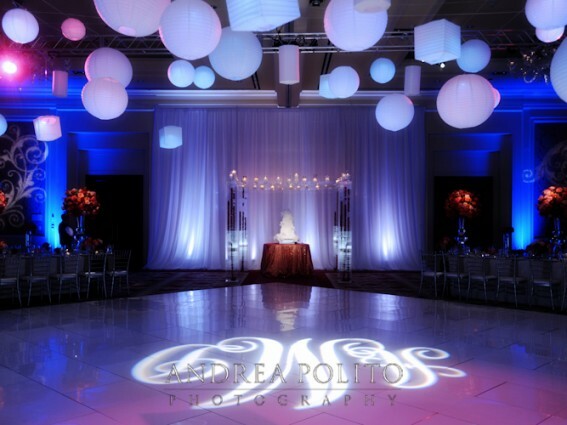 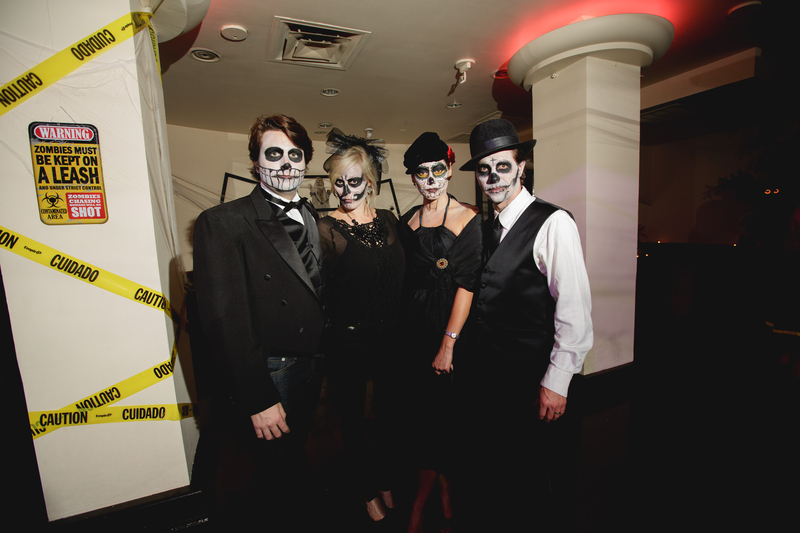 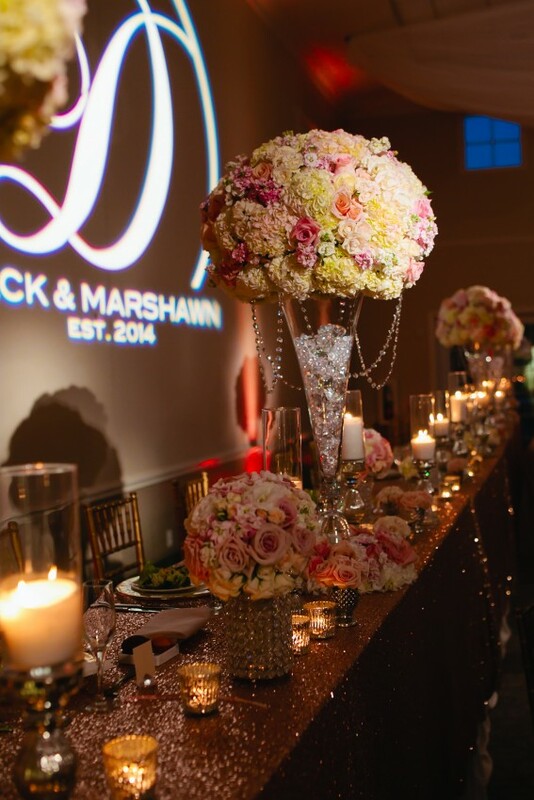 Pinspots are the ideal way to light up your reception tables while still keeping the dim ambiance of the entire room. 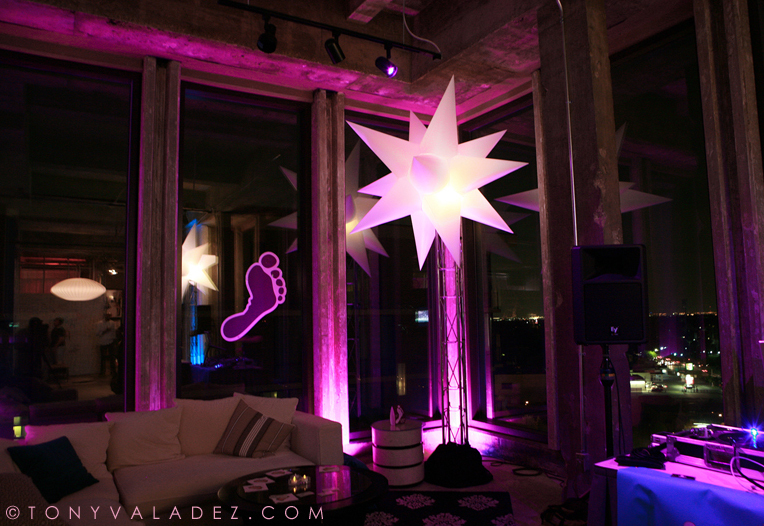 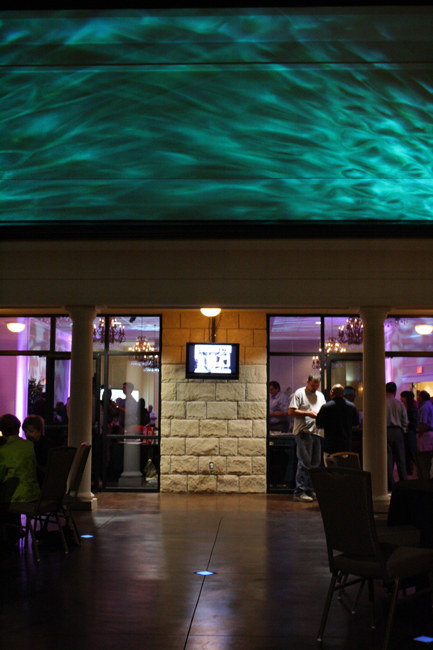 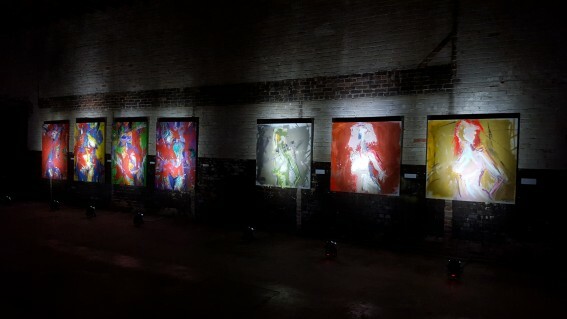 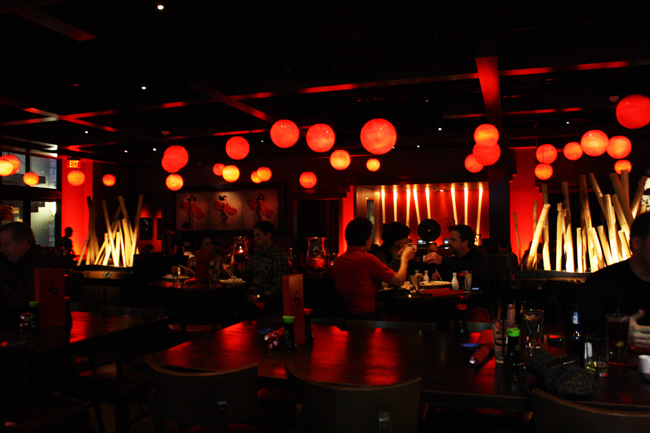 Pinspots can be used for any direct lighting on one area and can showcase art.